Two weeks ago, during my trip to the Nzara Hospital in the Diocese of Tombura-Yambio, the loud cries of starving, chronically ill children were often heard. At a time when many hospitals have been forced to close due to attacks in the midst of war, spreading famine and unfathomable suffering, the Nzara Hospital has managed to remain open. 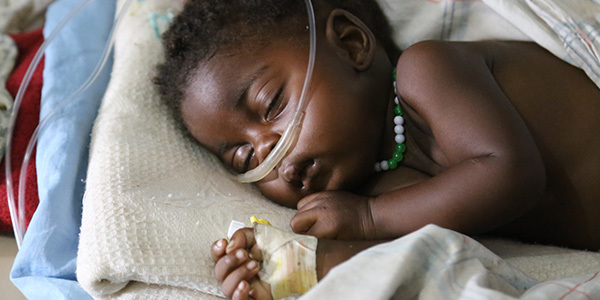 In particular, the pediatric ward is doing everything in Christ’s holy name to save and give hope to severely sick children and babies who are dying from diseases and illnesses like malaria, pneumonia, leprosy, tuberculosis, and other infectious diseases. In order to keep vulnerable families healthy, the hospital also offers various treatment and prevention programs to mothers and their babies living with HIV/AIDS. And now you can do your best to help. This past week I received amazing news that a donor who wishes to remain anonymous has agreed to make a matching gift up to a total of $70,000 for every dollar that you donate. This means your gift today will automatically DOUBLE and help twice as many suffering children and families. 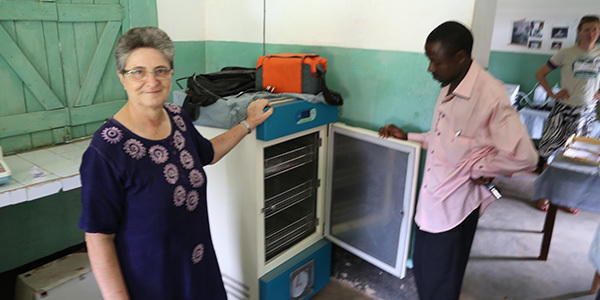 To further life-saving relief efforts, our team has partnered with CMMB as well as Comboni Sister Laura Gemignani, who manages the Nzara hospital. As the rainy season begins, Sr. Laura tells me she worries most about the kids; they are treating more children for severe malaria than ever before and medicines are not lasting as long as they had hoped. The hospital faces frequent shortages of medications and medical supplies and are struggling to cope with the volume of patients. With many of these illnesses, it is critical that there is no interruption of medication provided during treatment, especially for the mothers and babies living with HIV/AIDS. A sustained monthly supply of medicine is needed in order to maintain health. Sr. Laura is asking for our help. We cannot stand aside and let these vulnerable children continue to die. 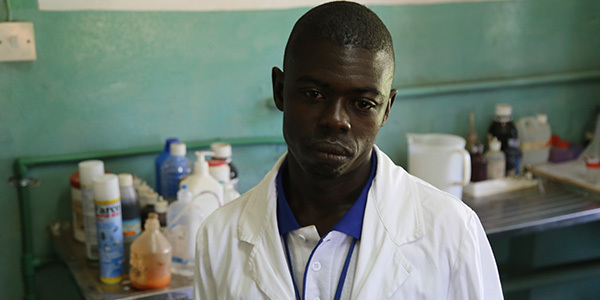 Without access to simple lifesaving treatment, their bodies will be too weak to survive. “The insecurity, including times of fighting, has caused an increase of severe diseases, especially for children under 5, which could be easily preventable,” says Sr. Laura. It is on their behalf, and for the children, that I must ask for your help by giving any amount that you can during this special $70,000 matching gift. Please, consider sending an emergency donation today—when your gift will be doubled. The Nzara Hospital is a tiny community with very few resources. They struggle to support their 85 employees, only two of them doctors. The small, overworked staff treats over 300 patients a day. They are doing all they can to treat the most vulnerable children, but with the influx of patients, a more suitable operating room is needed for surgeries. As more space becomes allocated to the patients needing operations, the Nzara Hospital is in desperate need of a blood bank. In emergency situations, deaths or the transmission of life-threatening infections such as HIV and hepatitis could be preventable by improving blood safety and availability. In particular, children are extremely vulnerable to shortages of blood because of their high requirement for transfusion caused by malaria or malnutrition. Will you please give what you can today? Your gifts—which will be doubled and do twice as much good— will help to expand the operating room and equip the Nzara Hospital with a proper blood bank, so they can continue caring for the victims of this senseless war and famine. As you may know, it’s extremely challenging to deliver aid in times of conflict. Much of the country is a very dangerous place and most aid groups have simply left out of fear. At great risk to ourselves, our team continues to deliver aid because we know people will die if we do not. With your donation, we can defy the odds and purchase, transport and distribute medicines to acutely ill children who are clinging to life. This is heart wrenching and horrific to think about, but we cannot ignore the plight of thousands of children who are in pain. They are relying on our organization and generous donors, like you, to keep the hospital running despite limited resources. God sent us this $70,000 matching gift so that TOGETHER we could heal the sick. These innocent victims of the civil war do not have to suffer or die– as long as you’re there to support our work. With your prayers, and your charitable gifts, we can continue to fund the lifesaving work of the Nzara Hospital and give vulnerable children the loving care and hope they so desperately need. Thank you and God bless you for your faith, compassion and extraordinary generosity.